The wealth's coin reverse features a representation of a domestic pig atop a mound of coins. 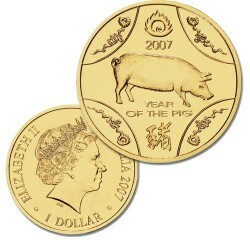 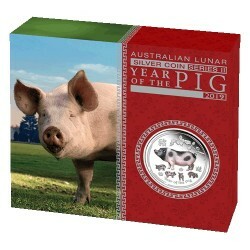 The inscriptions WEALTH and 2019 YEAR OF THE PIG also appear within the design, along with The Perth Mint's traditional P Mintmark. 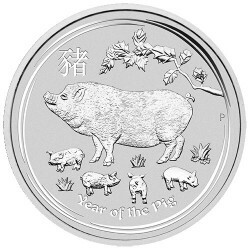 The wisdom coin's reverse features a domestic pig surrounded by traditional symbols of knowledge and learning including scrolls of paper. 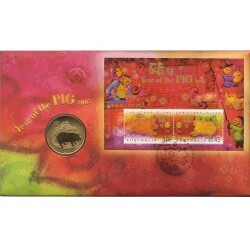 Chines bruches and a pot of ink. 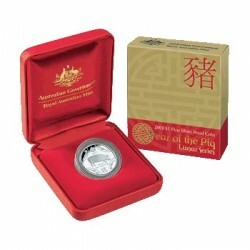 The inscriptions WISDOM and 2019 YEAR OF THE PIG also appear within the design, along with The Perth Mint's traditional P Mintmark. 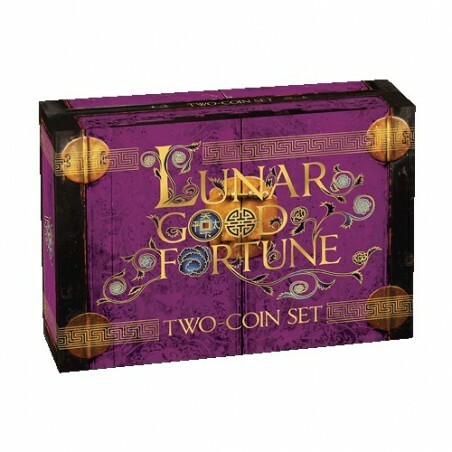 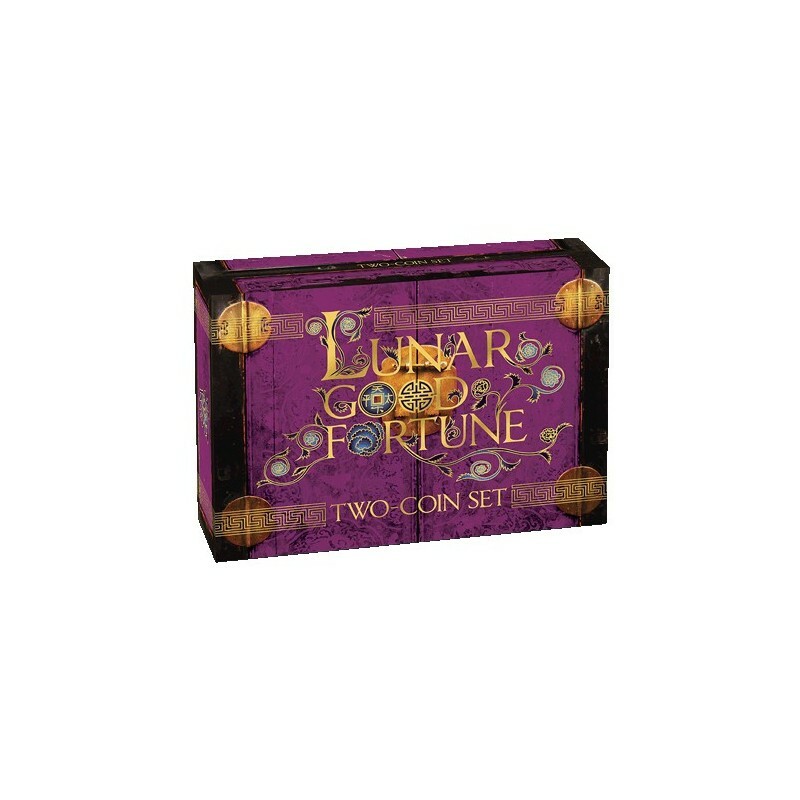 Each Set is housed in a classiv display case with a colourful illustrated shipper, and is accompanied by a numbered Certificate of Authenticity.